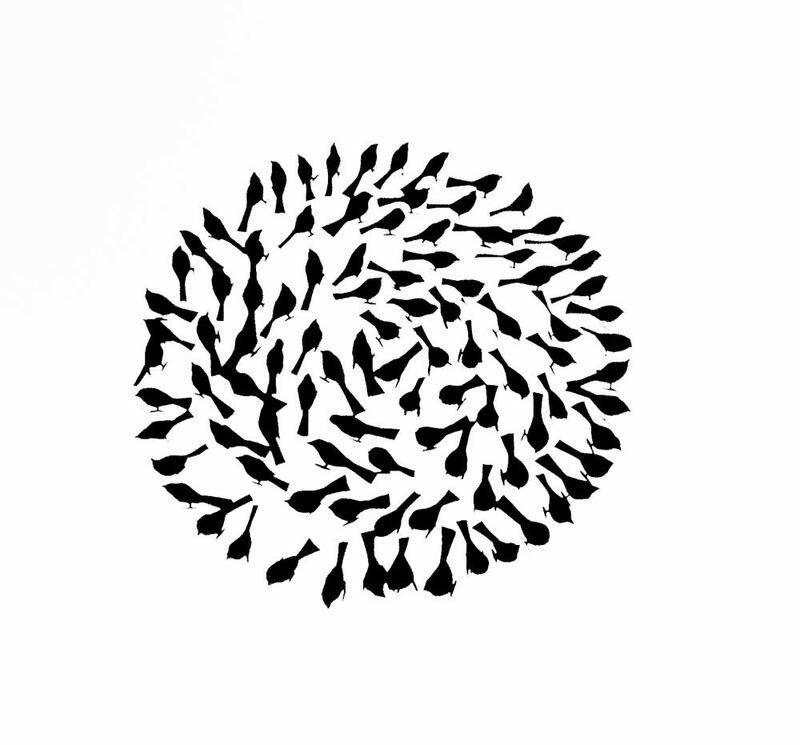 Flock Circle: Screen Print based on "Where have all the sparrows gone"
Repetition is a large part of my work. Whether it's hundreds of folded paper birds, multiple stitched or cut lines or the repetitive moments made through stop motion animation, building up volume through repeated elements to create the whole. Objects come together into circles or spirals, often unintentionally. Through my ongoing fascination with Japanese aesthetics I am captivated by the use of the circle and of repeated activity. The discipline of Enso is the practice of drawing complete and incomplete circles in ink. The circle symbolising elegance, strength, enlightenment and the void. The artist conducting this activity often a daily ritual as a spiritual exercise. Mini-worlds came from my response to drawing nature. 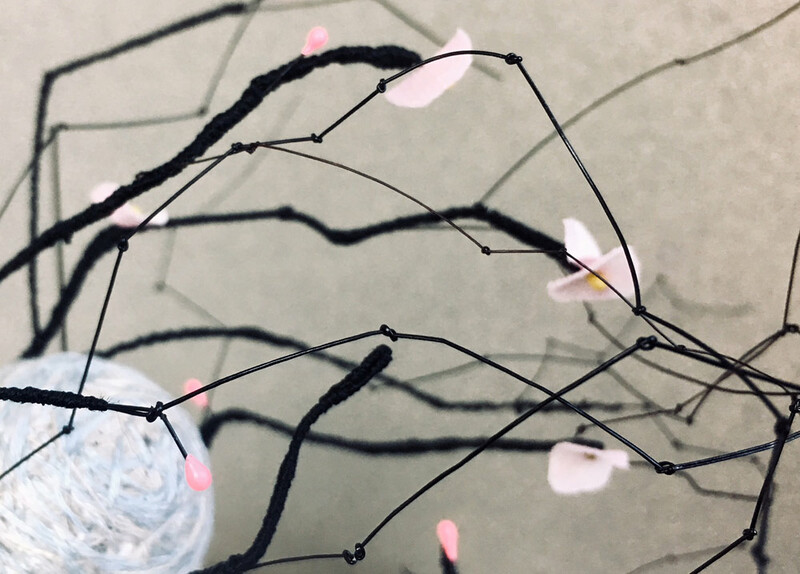 The ball, created from scraps of fabric, is built up with layer upon layer of thread, these are then stitched into and a moment drawn in the landscape is encapsulated into 3D. Each small sculpture focusses on the detail, its volume developed with a succession of stitched marks. A creative ritual for sure.